Hailed as "an important new force in the chamber music arena” with a "dream-team line-up” (Strings), the Ehnes Quartet is comprised of four internationally renowned string musicians: violinists James Ehnes and Amy Schwartz Moretti, violist Richard O’Neill, and cellist Edward Arron. 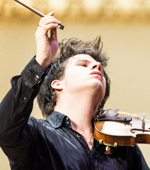 Bowled over by the sound of his father’s violin, Emilio Percan started violin lessons at the age of seven in Skopje, Macedonia, and gave his debut recital at the age of 14. A masterclass with Professor Isabela Golovina (a former student of Leonid Kogan) made a big impression on Emilio, and he continued studying in Moscow with her in 1999. This was followed by a tutorship from Dora Ivanova (a former student of David Oistrakh) in Sofia in 2000. 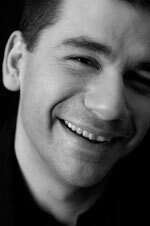 Eric Schneider has appeared as an accompanist in Europe, America, and Asia, notably with the singers Christine Schäfer, Matthias Goerne, Christiane Oelze, and Stephan Genz. He is a regular guest with these partners at the Schwarzenberg Schubertiade, the Salzburg Festival, and the Tanglewood Summer Music Festival. In addition to his recordings with Christiane Oelze and Matthias Goerne, he has had two highly praised recent releases on ONYX with the soprano Christine Schäfer: Schubert’s Winterreise in 2006, followed by a recital of songs by Henry Purcell and George Crumb. Click here and here to see Onyx Classics titles featuring Eric Schneider. Florian Boesch is a frequent guest on the concert platform with appearances at the Wiener Musikverein, Wiener and Berliner Konzerthaus, Salzburg Mozarteum, Concertgebouw Amsterdam, styriarte festival, Haydn Festival Eisenstadt, Théâtre du Châtelet, International Edinburgh Festival, Grafenegg Festival, and Bregenzer Festspiele. 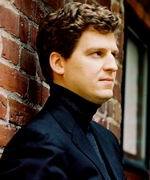 His repertoire includes works of Bach, Handel, Haydn, Mozart, Beethoven, Mendelssohn, Brahms, Schubert, and Mahler. Boesch is regularly working with conductors such as Nikolaus Harnoncourt, Sir Roger Norrington, Adam Fischer, Philippe Herreweghe, or Ivor Bolton. 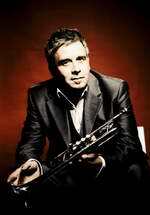 Håkan Hardenberger is the greatest trumpet soloist today and it is not only for his phenomenal virtuosity that he is held in such high regard; the notable list of works written for Hardenberger include works by Birtwistle, Henze, Pärt and Turnage. 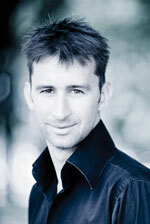 Hardenberger has an extensive discography with Philips, EMI and BIS Records. Henk Neven studied at the Conservatory of Amsterdam, where he graduated in 2003. In 2009 he joined the prestigious Radio 3 New Generation Artists Scheme and recently won the coveted Dutch National Music Prize, the most prestigious musical award in the Netherlands. Il Giardino Armonico’s many recordings of works by Vivaldi (including the Four Seasons) J.S. Bach (Brandenburg Concertos) and other 18th-century composers have met with widespread acclaim on the part of audiences and critics alike and have received several major awards (Gramophone Award, Echo-Preis, Caecilia Award, Diapason d’Or, Choc de la Musique etc). The acclaimed Vivaldi Album with Cecilia Bartoli won a Grammy in 2000. The Vivaldi Mullova concerto disc is their first recording for ONYX and was Diapason d'Or de L'Annee in France 2005. Itamar Golan has established himself as a chamber musician in high demand, paired with the virtuoso Russian violinist Maxim Vengerov, as well as Barbara Hendricks, Shlomo Mintz, Mischa Maisky, Matt Haimovitz, Tabea Zimmermann, Ida Haendel, and Julian Rachlin, among others. 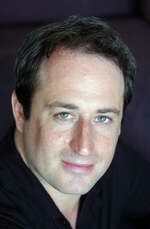 He also plays as a soloist with the Israel Philharmonic and the Berlin Philharmonic under conductor Zubin Mehta. Czech violinist Jan Mráček was born in 1991 in Pilsen and began studying violin at the age of 5 with Professor Magdaléna Micková. From 2003 he studied with Professor Jiří Fišer, graduating with honours from the Prague Conservatory in 2013 and until recently at the University of Music and the Performing Arts in Vienna under the guidance of the Vienna Symphony concert master Jan Pospíchal.